Today (yes, it is a Sunday of the Labor Day weekend), we heard the good news from our Dean, Dr. Mark Fuller, via en email message, that two of our faculty have been appointed to Endowed Chaired Professorships. Specifically, Hossein B. Kazemi, a professor of finance at Isenberg, is the new Michael and Cheryl Philipp Professor of Finance. Kazemi is actually the second holder of the Philipp Professorship - Professor Tom Schneeweis, who recently retired, was the first and assumed it in 2000. Professor Chris Agoglia, who is the chair of our Accounting Department is the inaugural Richard Simpson Endowed Professor in accounting. This chair honors the legendary Simpson, who taught at our school for 50 years retiring at about age 80. I wrote about Professor Simpson on this blog in a piece entitled, Business Profs Who Make a Difference. Kazemi received his PhD from the University of Michigan and is also the Director of CISDM. Agoglia received his PhD from UMass Amherst. There are now 7 faculty holding endowed chairs at the Isenberg School of Management so this page will have to be updated! Our Dean holds the Thomas O'Brien Endowed Chair, named after our long-serving former dean, who because of his outstanding efforts, we have the "Isenberg" School of Management. The Management department has 3 endowed chairs: Professor Steven Floyd is the Eugene M. Isenberg Professor of Innovation and Entrepreneurship; Professor Charles Manz is the Nirenberg Professor of Leadership, and James Theroux is the Flavin Family Chair in Entrepreneurshi. I hold the John F. Smith Memorial Professorship of Operations Management and have held this chaired professorship since 1998. It is in honor of the father of Jack Smith Jr., '60, the former CEO of General Motors, who endowed this chair, and is one of our alums. Just last week, I wrote a long letter to Jack Smith thanking him for his support and telling him of the fabulous year at the Isenberg School - especially of the happenings in our new Operations & Information Management department and the Virtual Center for Supernetworks that I founded in 2001 and direct. 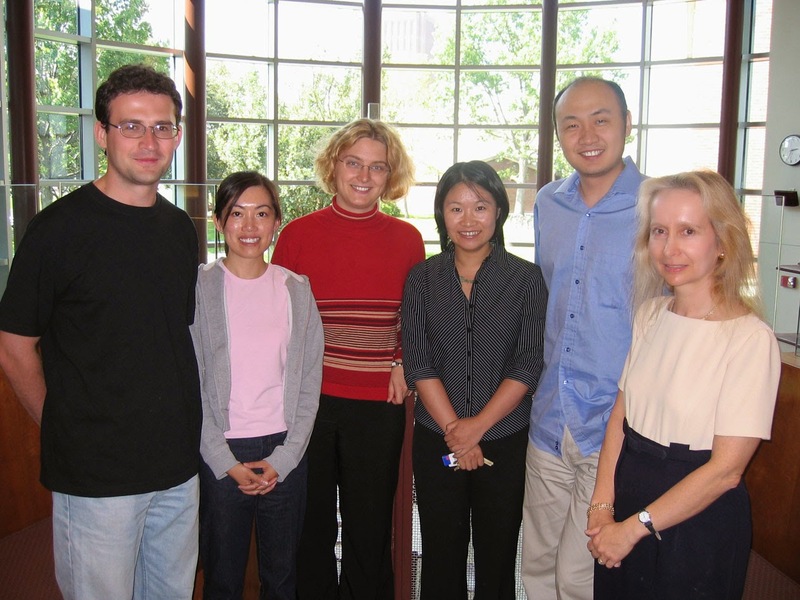 Named professorships come in all "shapes and sizes." There are endowed professorships, which, typically, last until one leaves, retires, or gets carried out. There are even what are sometimes called "folding chairs." These tend to be short-term honorific professorships and may have a set lifetime or be renewable with other holders. Some named professorships may be for only Assistant Professors but, typically, these are for Full Professors, the highest strata of the academic food pyramid. 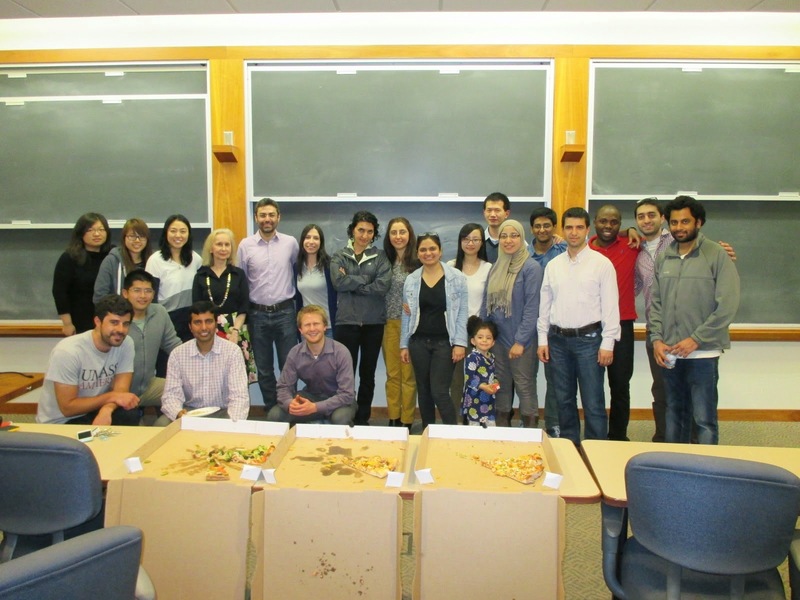 In any event, please join me in congratulating both Professors Kazemi and Agoglia! Our Dean in his message stated that: Our most valuable resources are those individuals that can do it all at a high level: research, teach, serve, and lead; and who are firmly committed to all aspects of our mission including undergraduate and graduate education as well as scholarship. We recently heard the good news that our project, "Cybersecurity Risk Analysis for Enterprise Security," is being funded by the Advanced Cyber Security Center (ACSC). The project team consists of - from UMass Amherst: Professor Wayne Burleson of the College of Engineering, and Professors Mila Sherman and Senay Solak from the Isenberg School of Management, plus me, and from MIT - Professor Andrew Lo of the Sloan School, who needs no introduction. This project is actually a second step, following in the footsteps of our first ACSC project, which was a Prime the Pump project, "Cybersecurity Risk Analysis and Investment Optimization," with Chris Misra of OIT of UMass also being on that project with us. On Friday, September 19, 2014, we will be holding a workshop at the Sloan School at MIT on the theme of the new project and we are busy now with teleconferences and finalizing the organization of the day. We expect over 50 attendees and have already had a great response from various financial service firms, insurance companies, MITRE, RSA, and EMC, to start. We also expect participation from researchers of neighboring universities, and even pharmaceutical firms. It should be a very exciting event. The Co-PIs will be giving presentations and we are also scheduling panels for a lot of discussion. I will be speaking on Network Science for Cybersecurity. This topic encapsulates nicely much of the research that my group at the Supernetworks Center has done on network vulnerability and resiliency. 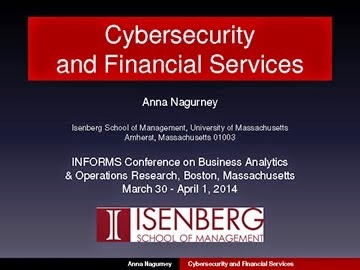 I also plan on including some of our latest results on cyber crime, which I had the pleasure of speaking on last year at the great INFORMS conference in Minneapolis and also, in a broader context,at the INFORMS Analytics conference in Boston last April, which was simply fabulous! The above presentation can be downloaded in its entirety here. We are very grateful to the ACSC for their continuing support and vision! The article by Matt Wald (who was a classmate of mine at Brown University), "Blood Industry Hurt by Surplus" in today's The New York Times was extremely well-researched and timely. It highlighted the new challenges faced by this critical healthcare industry and ended with the quote by Dr. Ferraris of the University of Kentucky: Every surgeon who's ever lived has seen somebody whose life was saved by a blood transfusion. Changes in medical procedures with innovations have greatly reduced the need for transfusions in the past several years, with last year's demand being about 11 million units, with 15 million being needed five years ago. As a consequence, blood bank revenue is falling, down from a high of $5 billion in 2008 to only about $1.5 billion expected this year. 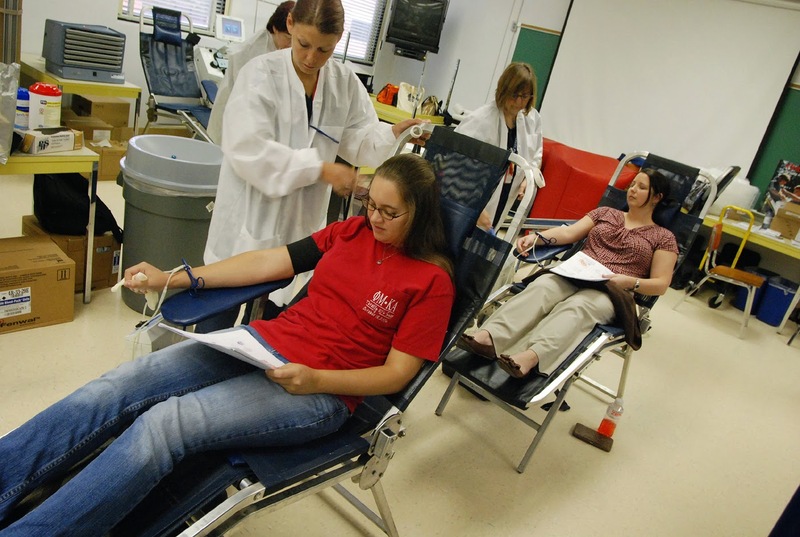 The Red Cross supplies about 40% of the blood to hospitals and other healthcare facilities, such as surgical units. The cost of a unit of blood to hospitals ranges from $225-$240. Nevertheless, even at reduced demand, the blood banks still require tens of thousands of donors a day. And, of course, and this cannot be emphasized enough, blood is a perishable product and it must undergo rigorous testing and quality control before utilized in patients. We have written several articles on blood supply chains and also included the topic in our most recent book: "Network Against Time: Supply Chain Analytics for Perishable Products." The most relevant paper of ours related to the issues brought forth by Matt Wald is: Supply Chain Network Design of a Sustainable Blood Banking System, Anna Nagurney and Amir H. Masoumi, in Sustainable Supply Chains: Models, Methods and Public Policy Implications, T. Boone, V. Jayaraman, and R. Ganeshan, Editors, Springer, London, England (2012) pp 49-72. Here we dealt with demand uncertainty and with penalties associates with shortages or surpluses (as is the real-world industry scenario now) with appropriate weights imposed. We also handled perishability of this life-saving product using a generalized network approach and also included costs associated with wastage. Given that this industry has not been immune to mergers and acquisitions, The New York Times article reports that America's Blood Centers, an association of blood banks, has seen a drop in members from 87 five years ago to 68 today. 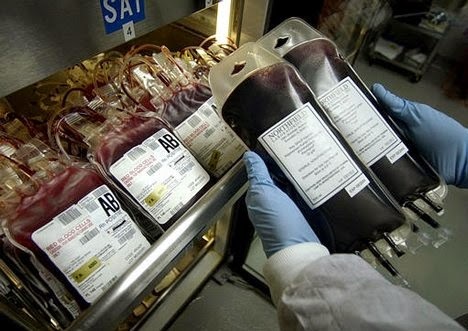 Also, at a recent meeting of blood industry experts, it was predicted that most of the blood collections agencies, because they have good relationships with donors would survive, but that there would be mergers associated with such blood supply chain network activities as testing, stockpiling, and distribution. In the paper, A System-Optimization Perspective for Supply Chain Network Integration: The Horizontal Merger Case, that I wrote and that was published in Transportation Research E 45: (2009) pp 1-15, I proposed synergy measures associated with supply chain network integration under cost minimization, exactly what is needed in this industry. We had had a wonderful exchange with Dr. Walter Dzik of Harvard Medical School and Mass General Hospital, who is an expert on hematology and transfusion medicine since he was aware of our blood supply chain research. He told us that, although now Red Blood Cells (RBCs) are considered to have a shelf-life of 42 days, the goal is to have the blood stored for not longer than 7 days. Interestingly, it has been found that older blood is also of lower quality. This would put additional pressures on the blood supply chains in terms of time-sensitivity. Thanks to Matt Wald for such a great article from which many additional research ideas are germinating! It is impossible not to be moved by the impact of the Ebola virus on communities in western Africa with the World Health Organization (WHO) reporting a death toll of over 1,200 people. Two Americans, Dr. Kent Brantly and Nancy Writebol, who had contracted Ebola while doing healthcare and missionary work in Liberia are now recovering at special isolation wards at the Emory University Hospital in Atlanta, Georgia. Both were treated with the experimental drug ZMapp and 3 doctors in Liberia, who were also given this drug, seem to be recovering. There is no cure for Ebola and the fatality rate ranges from 50%-90%. You may have seen the transport provided for both Brantly and Writebol from Africa to the US, with each traveling in white suits that enveloped their bodies on a specially equipped plane and being then transferred to the isolation facility by specially dressed workers in white "hazmat suits." One of my colleagues was in Sierra Leone in June and this country had had the greatest number of cases. I saw him in mid-July and, thankfully, and with great relief, he seemed fine. The incubation period is 2 to 21 days. Last spring I taught a course on Humanitarian Logistics and Healthcare at the Isenberg School of Management and will be teaching it again in the Spring of 2015. This healthcare crisis I will certainly be covering since, as I read the news, I keep on thinking of the complexity of the situation and when the problems and challenges are extra difficult, then my discipline of Operations Research may be able to contribute. One of the issues which is so startling is the low level of many of the hospitals and healthcare facilities in western Africa with some hospitals not even having water and the healthcare workers not having access even to plastic gloves. Some are being offered extra pay for the hazardous duty associated with treating and taking care of Ebola victims. Having the proper medical supplies is essential for stemming the spread of this contagious disease, which supposedly does not spread through the air but, rather, through the exchange of fluids. I was reminded of a paper that we wrote: Supply Chain Network Design for Critical Needs with Outsourcing, Anna Nagurney, Min Yu, and Qiang Qiang, Papers in Regional Science 90: (2011) pp 123-142. By “critical needs” we mean products that are essential to the survival of the population, which can include, for example, vaccines, medicine, food, etc., depending upon the particular application. “Critical” implies that the demand for the product should be met as nearly as possible since otherwise there may be additional loss of life. We also studied the multiproduct aspects in the paper: Multiproduct Humanitarian Healthcare Supply Chains: A Network Modeling and Computational Framework, Anna Nagurney, Min Yu, and Qiang Qiang, in the Proceedings of the 23rd Annual POMS Conference, Chicago, Illinois, April 20-23, 2012. There are also ongoing disruptions to the supply chains of the affected countries, since some suppliers and freight service providers are reluctant to take the risk of possibly contracting the disease, which is truly horrific. The economies of these countries may also be affected. Our paper, A Bi-Criteria Indicator to Assess Supply Chain Network Performance for Critical Needs Under Capacity and Demand Disruptions, Qiang Qiang and Anna Nagurney, Transportation Research A 46(5): (2012) pp 801-812, provides metrics to enhance decision-making in disaster situations and can even be applied to assess the delivery of food and medicines. Moreover, there are policies such as the cordon sanitaire being implemented in parts to isolate the communities where Ebola is rampant to minimize its spread to other communities. I thought about the research on "cliques" that our Operations Research community is a leader in. Finally, this healthcare humanitarian crisis also has aspects of hazmat transportation, but with new challenges, since we are no longer transporting hazardous materials (we have done work on medical nuclear supply chains, for example) but people, who, in effect, are hazardous since they have Ebola. As the new academic year begins, I know that certain colleges in the US are taking precautions since they have students coming from the affected countries. Also, many of us travel alot via air and I am sure that we will be a bit anxious in flying. Given that there is no cure, but that ZMapp appears to have had very positive effects in those who have been lucky to acquire it, it is imperative to assist the company in its production, especially that the supply has now been exhausted. And, here again, through analytics and Operations Research, I believe that our models and algorithms can be helpful: Pharmaceutical Supply Chain Networks with Outsourcing Under Price and Quality Competition, Anna Nagurney, Dong Li, and Ladimer S. Nagurney, International Transactions in Operational Research 20(6): (2013) pp 859-888. In conclusion, I would like to thank the selfless, truly courageous healthcare workers battling Ebola, under such difficult circumstances. Our hearts go out to the families who are suffering so much. Organizations need to team up to battle this scourge. 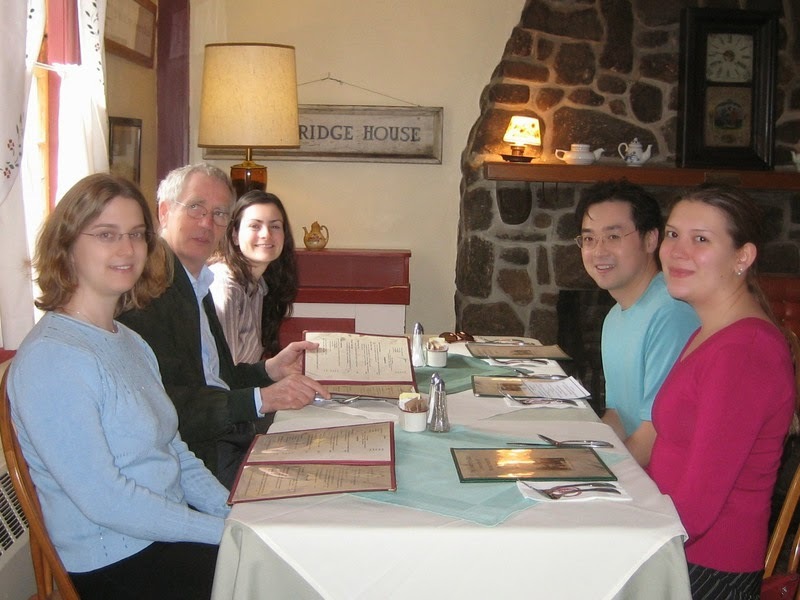 This Fall, we will be marking 10 years of the UMass Amherst INFORMS Student Chapter. We will certainly let you know of any special events to mark this milestone in a celebratory manner. I thought it appropriate to reflect on the last decade as the Faculty Advisor to this award-winning student chapter and its various activities. My former doctoral student, Tina Wakolbinger, who is now a Full Professor at the Vienna University of Economics and Business in Austria, and who served as the chapter's President, and I decided, back in 2004, that such a chapter could bring students and faculty throughout the UMass Amherst campus who were interested in operations research and the management sciences closer together. I had had an outstanding offer from another university and almost left UMass Amherst that year and, after a counteroffer, and much heavy thought, decided to stay and, in so doing, felt that working with students, hosting speakers, and building a stronger community would be of great benefit and also enjoyment. Over the years we have hosted such luminaries in our profession as Professor Ed Kaplan of Yale University, Professors Dimitri Bertsimas, Cynthia Barnhart, Georgia Perakis, Asu Ozdaglar, Richard Larson, Alex "Sandy" Pentland, Arnie Barnett, and Daron Acemoglu of MIT, Dr. Les Servi of Mitre, Professors Parkes and William Hogan of Harvard University, Professor Michael Fu of the University of Maryland, Professor John Birge of the University of Chicago, Professor Sheldon Jacobson of the University of Illinois, Professor Ellis Johnson of Georgia Tech, and such amazing thought leaders as Professors Albert-Laszlo Barabasi and Dietrich Braess (of Braess paradox fame), Dr. Irv Lustig, Tom Vanderbilt, the best-selling author of the book Traffic, Dr. Brenda Dietrich, Dr. Robin Lougee-Heimer, and Dr. Mary Helander of IBM, and Dr. Grace Li, formerly of IBM, Dr. Vamsi Chaladavada of ISO New England, Dr. Sam Bowles of the Santa Fe Institute, and even one of my former MBA students, Kevin Koswick of Ford. I managed to cobble together funds from awards that I had received and my Smith Funds, along with some entrepreneurial ideas from the students to fund such an outstanding list of speakers. Only one person ever turned down an invitation to speak from us and, to-date, we have hosted close to 100 speakers. We have organized many panels, from research to teaching ones, and, at the end of every semester, we celebrate with an end of the semester party with international cuisine. The chapter members also helped out tremendously with the First Northeast Regional INFORMS Conference held at UMass Amherst. Several of our former officers: Dr. Tina Wakolbinger, Dr. Patrick Qiang, and Dr. Amir H. Masoumi have been honored for their work with their chapter with the Judith B. Liebman Award of INFORMS and I was thrilled to receive The Moving Spirit Award from INFORMS for my work as the chapter's Faculty Advisor. The friendships made through the chapter help to sustain our members as they receive their degrees and move onward in their professional careers. And we always enjoy getting together at the annual INFORMS conferences! And when the chapter is recognized for its activities, which it has been by INFORMS every year that our professional society has been doing so (8 times now), we always celebrate! I wonder what kind of adventures the next decade will bring?! Thanks to our outstanding students from both the Isenberg School of Management and the College of Engineering at UMass Amherst for being so wonderful to work with! Thanks to INFORMS for already putting up the program for the San Francisco INFORMS Conference. I was asked by Professor Vladimir Boginski to organize a session as part of the Network Optimization cluster, which I did. The title of the session that I organized is: Supply Chain Network Competition: Advances in Models, Methods, and Applications. There are 4 papers in this session with the first one being: Supply Chain Network Competition with Information Asymmetry in Quality and Minimum Quality Standards. This paper is a paper that I wrote with my doctoral student, Dong "Michelle" Li, and which was just recently published in the journal Computational Management Science, but with an expanded title. The second paper is this session will be presented by Dr. Patrick Qiang. and is entitled: The Closed-Loop Supply Chain Network with Competition and Design for Remanufactureability This paper was recently accepted for publication in the Journal of Cleaner Production. The third paper will be presented by Professor Min Yu and is based on joint work with our collaborator at the University of Gothenburg in Sweden, Professor Jonas Gloden. The title is: Supply Chain Network Sustainability Under Competition and Frequencies of Economic Activities. This paper was also recently published in Computational Management Science with an expanded title. The last paper in this session, Supply Chain Supernetwork Model with Suppliers' Risk Diversification, will be given by Professor June Dong in collaboration with Professor Jun Ma. We will also be presenting our latest research on our NSF-funded Future Internet Architecture project at this conference, but on that Wednesday. This INFORMS conference will be a wonderful venue to reconnect with many former doctoral students, collaborators, and colleagues from around the globe. And who can resist San Francisco! About 2 weeks ago I was contacted by Martin Jaggi and Zaid Harchaoni who were writing an article on the history of the Frank-Wolfe (1956) algorithm for Optima, which is the newsletter of the Mathematical Optimization Society (formerly the Mathematical Programming Society). The algorithm was proposed in the paper, "An algorithm for quadratic programming," and published in the journal Naval Research Logistics Quarterly. They provided me with a text by Frank and stated that Any help towards an more accurate & complete description of that interesting history would be very appreciated. In reading over the text I was so pleased to see my dissertation advisor's name at Brown University, Stella Dafermos, mentioned and even my name. I was flooded with nostalgia. I actually implemented the Frank-Wolfe algorithm as part of my dissertation since part of it entailed conducting computational experiments associated with solving traffic network equilibrium problems, both symmetric ones, which could be reformulated as optimization problems, or asymmetric ones, which were formulated and solved as variational inequality problems. The symmetry condition had to do with the user link cost functions which capture congestion. And, yes, the Frank in the Frank-Wolfe algorithm is a female, named Marguerite Frank. I often mention this to my students when I teach Transportation & Logistics or advanced game theory and network and variational inequality courses. Of course, most suspect that the "Frank" in "Frank-Wolfe" must be a male. Marguerite and Wolfe (Philip) wrote this paper during their time at Princeton and Wolfe went on to IBM. Marguerite spent many years as a professor at Rider University in New Jersey. While at Princeton, they interacted with both Al Tucker and Harold Kuhn, who recently passed away, of Kuhn-Tucker conditions renown. Marguerite visited me at the University of Massachusetts Amherst and we had a marvelous conversation on what success means and how to define it. Marguerite Frank was born in 1927, so she is 87 years young. Martin Jaggi and Zaid Harchaoni brought to my attention a recent video of Marguerite that was made last December at Lake Tahoe and was posted on Youtube in which she reflects on the algorithm and her contributions. Nice that she is finally getting the attention that she deserves. Exciting to see also that convex programming is garnering renewed interest - we have been doing nonlinear programming throughout because of our research on congested networks from transportation to electric power ones to the Internet. Both Stella Dafermos and Marguerite Frank represent truly inspiring female STEM pioneers.We owe them a tremendous amount. Sadly, Stella passed away in 1990 at age 49.